Gluten-free this, gluten-free that, go gluten-free. This trend seems to be popping up in the news, grocery stores and bakeries. Recently, Dunkin’ Donuts became one of the first food chains to introduce gluten-free bakery items on their menu. But what does this all mean? What is gluten and why is it important? Gluten is a specific protein found in wheat, barley and rye that causes gastrointestinal complications in people with celiac disease, an autoimmune disorder. Only one percent of the U.S. population has this disease and it is four times more prevalent now than in the 1950s. So why are so many people going gluten-free when few are actually affected by it? The answer is actually quite simple; demand for gluten-free products is growing. According to Celiac Central, the autoimmune disorder is becoming more prevalent among Americans. Gluten-free diets have been pegged as one of the top five health trends of 2013 due to perceived health benefits and diagnosis increase. Nearly 18 percent of consumers eat gluten-free foods as compared to 15 percent in October 2010, says Packaged Facts, while 30 percent are trying to avoid foods containing gluten according to a NPD Group research survey. Restaurants are now offering 275 percent more gluten-free menu options than in 2009. There are many wheat substitutes, like nut, buckwheat, millet and rice flours, on the market for those looking to eliminate gluten from their diets. Corn is naturally gluten-free, unlike wheat, barley and rye; giving those with celiac disease an affordable option to these specialty products. 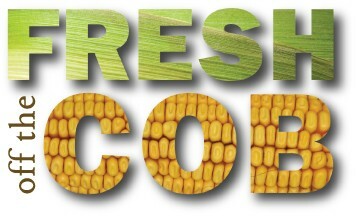 Since corn has similar properties to wheat, it makes an excellent ingredient in gluten-free foods. Corn works well in cake mixes, breadings and thickeners because of its viscosity. Didion Milling has responded to this trend by working with the Gluten Intolerance Group to receive gluten-free certification. As of June 19, Didion products are now certified gluten-free. To read more about Didion Milling’s gluten-free corn products, visit our website. This entry was posted in Company News, Products and tagged corn, gluten-free. Bookmark the permalink.